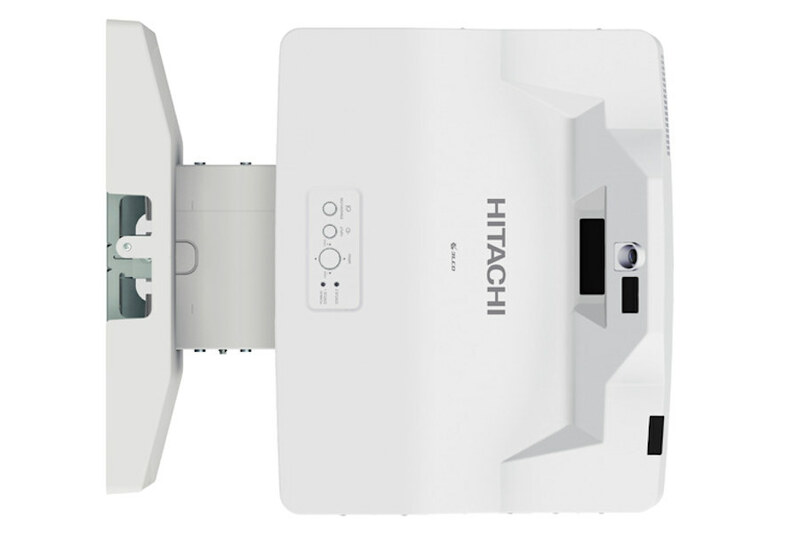 Hitachi’s solid state light source projector line now includes the laser light source 3LCD interactive model LP-TW4001 with 4,200 ANSI lumens. The new laser phosphor light source offers approximately 20,000 hours (normal mode) of operation time and is virtually maintenance free, there is no lamp to replace providing a dramatic reduction in total cost of ownership. 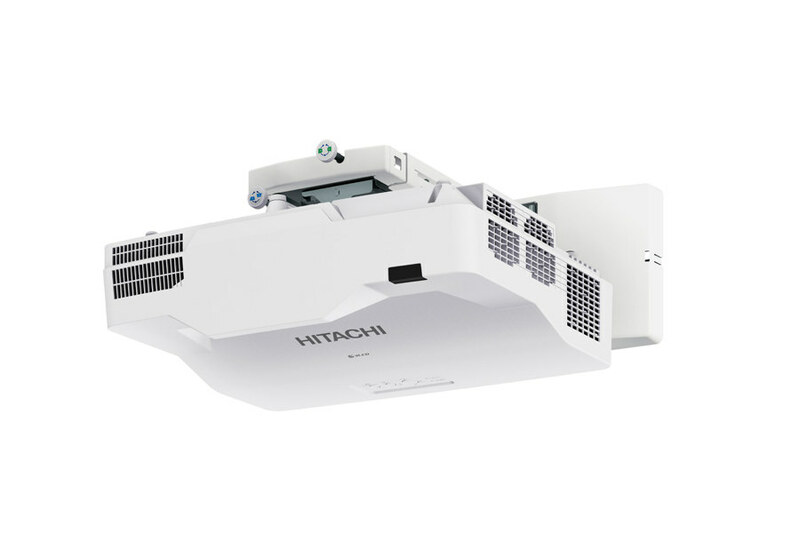 The innovative interactive LP-TW4001 features an ultra short throw design and integrates Hitachi’s powerful software to deliver a complete interactive experience on any flat surface. With a rich feature set that meets the specific interactive needs of K-12, higher education, and corporate users, the LP-TW4001 is both easy to install and easy to calibrate. 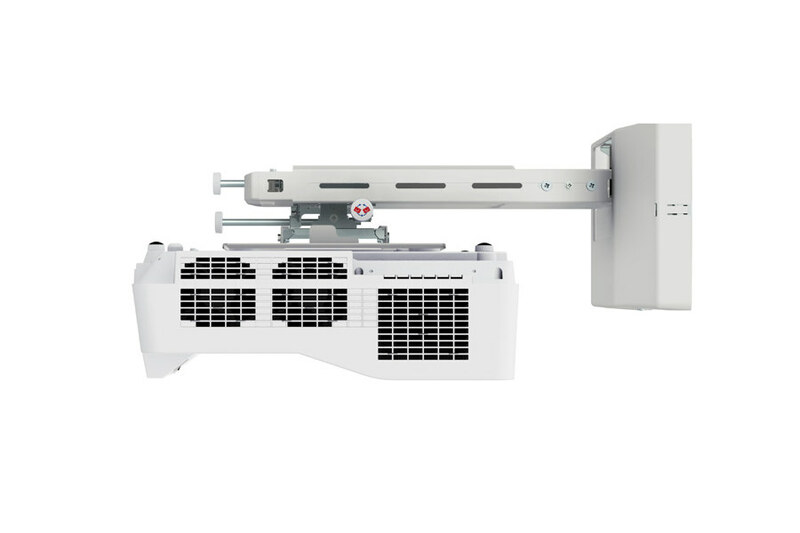 It provides vibrant image quality with cost-effective operation and produces large images in small spaces. Interactive features include interactive pens, multiple pen capability, auto-calibration, PC-less drawing, and multi-display interactive. 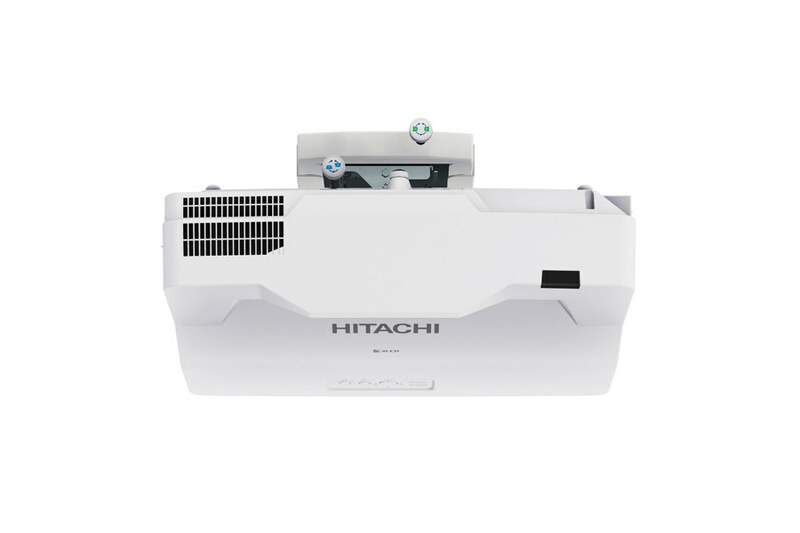 The Hitachi LP-TW4001 projector includes a drawing application that offers more sophisticated drawing functions. 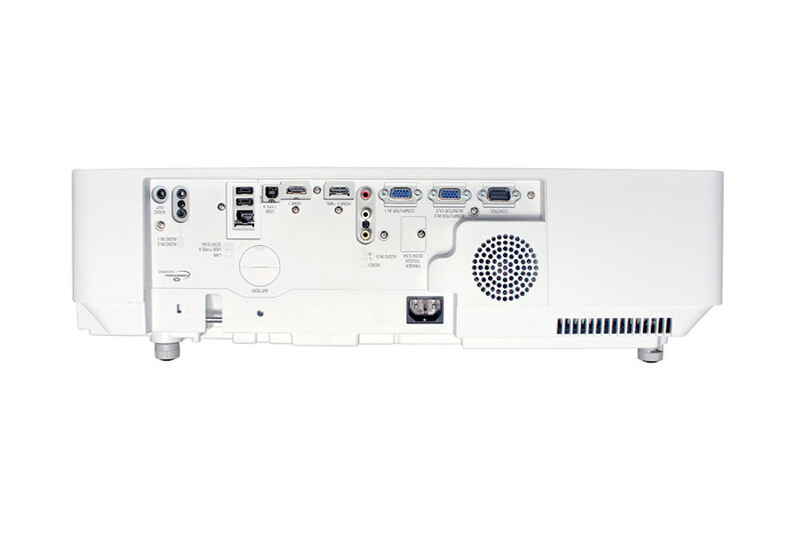 The LP-TW4001 projector incorporates the optional finger touch unit that enables the projector to detect finger touch activity on the screen area. It allows users to annotate and interact with the material presented. Instead of simply showing static images, students and teachers can interact with on screen material for hands-on interactivity that brings learning to life. When using the finger touch unit in a bright environment, auto-calibration may not be used. 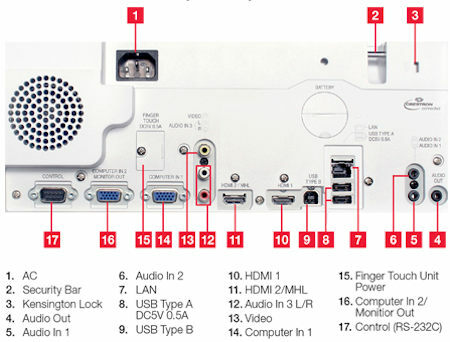 Must be used on a flat screen. The finger touch unit may not be used in locations where there is sunlight or light from an incandescent light source. Lamps can blow, if you need your projector working and can't afford down time, you may need to keep a spare lamp. 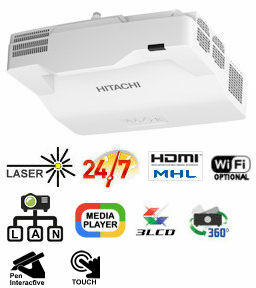 The replacement projector lamp for the Hitachi LP-TW4001mf is the No Replacement.